If wildlife have damaged your property, it is important to make repairs quickly so that the animal does not return. However, before beginning any repair project, take steps to avoid sealing animals or their young inside your home. 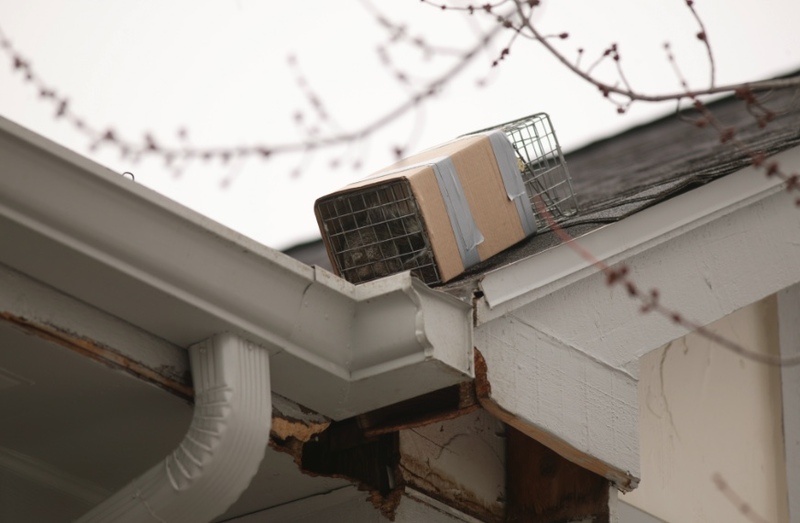 Sealing an animal under or inside the structure may have one of two unpleasant consequences: 1) the animal will cause more damage as it tries to escape or retrieve its young, or 2) there may be a very unpleasant odor if the animal is unable to escape and dies inside the building. If you notice a damaged area of your home, try to make repairs before the breeding season (March through late July) begins. Repairs made during the breeding season have the potential to trap young inside. Since many mammals are nocturnal (active after dusk through dawn), it is unlikely that you will see them coming and going. Fortunately, there are some simple methods to determine if an animal is still using the site. Try sprinkling flour outside potential entry points. Typical points of entry for wildlife are weak spots near the roofline or along the foundation of a structure. It is safe to proceed with repairs if there are no tracks in the flour after two or three days. For holes in siding, soffit, fascia or roof, stuff the holes loosely with several sheets of newspaper. If the paper remains undisturbed after two or three days it is safe to proceed with repairs. If you find tracks, or if the paper is removed, it is likely that an animal is still using the site. In those cases, it will be necessary to remove the animal(s) before repairing the damage. 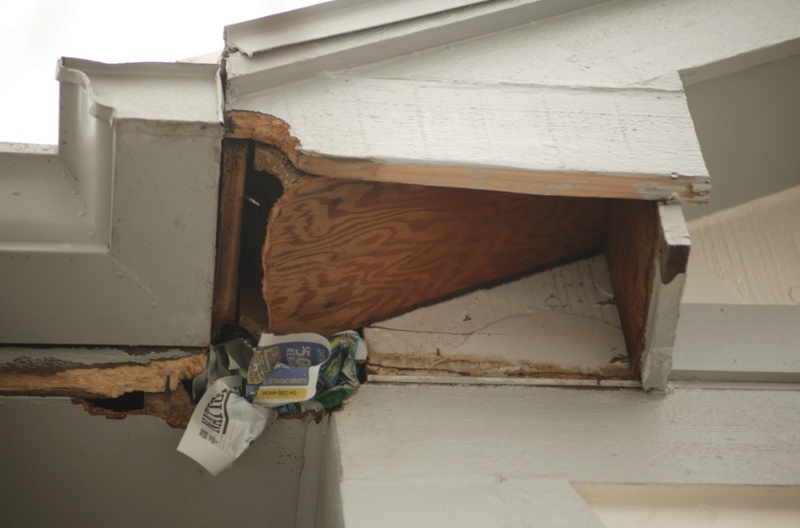 Newspaper was loosely stuffed into the hole in the soffit to see if the animal was still getting into the house. The newspaper was removed by the squirrel, so a live trap was set. The gray squirrel was safely removed. The damage was then repaired to prevent the squirrel’s return. Keep in mind that if an animal is using your home as a den site, particularly during the breeding season, it will be very persistent about returning, even if this means chewing or tearing a new opening into your home. Once you are sure that the animal is gone, make repairs quickly before another animal moves in.